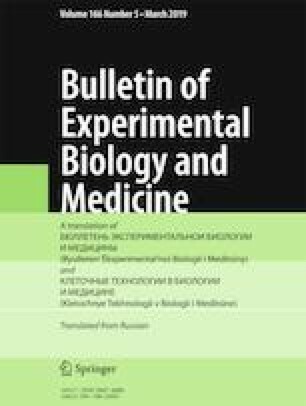 In CBA mice infected with influenza viruses A/H1N1/California/04/2009 and A/H5N1/Goose/Krasnoozerskoye/627/05 in a dose of 10 MLD50, the mechanisms of death of pulmonary alveolocytes over 10 postinfection days were studied by light microscopy, immunohistochemistry, and morphometry. In mice infected with A/H1N1, alveolocytes died predominantly via necrosis, while apoptosis mostly employed the mitochondrial pathway. In mice infected with A/H5N1, apoptosis was the dominant mechanism of alveolocyte death proceeded via membrane receptor signaling followed by switching to FAS-mediated pathway via activation of FADD, the apoptotic signal transduction protein.